Picking a perfume can be seriously daunting. After all, searching for that perfect scent that’s not too floral, too spicy, too woody but just right brings to mind Goldilocks and her quest for the perfect bed. So perhaps, not so surprisingly, Chloe has gotten it just right with the Chloe eau de parfum. After all, when it comes to fashion and bags, Chloe rarely misses the mark. Likewise, you’ll love the chic, feminine fragrance with notes of peony, freesia, lychee, rose, amber, cedarwood and magnolia. The eau de parfum (which launched this past February) was the first perfume release for the brand in more than 10 years, and it was quite a comeback indeed. So Chloe’s latest release, the Chloe Creme Collection of bath goodies and candles, is very, very welcome in my book. The four new Chloe fragrance bath products include the Chloe Perfumed Bath Creme, Chloe Perfumed Body Creamy Scrub, Chloe Perfumed Body Creme and a Chloe Perfumed Candle available exclusively at Saks Fifth Avenue and Chloe boutiques. Now you can enjoy more than just a spritz of the perfume and unwind and relax after a long day with the Chloe Perfumed Bath Creme. The bath creme melts into a creamy foam in your tub and luxuriates the skin and the senses with the same sensual scent as the signature fragrance. Massage, exfoliate and unveil refreshed and renewed skin with the Chloe Perfumed Body Creamy Scrub. For even more supersoft results, follow with Chloe Perfumed Body Creme, a silky soft formula that nourishes the skin. All this luxury will have you feeling like you have a personal spa, right in your bathroom. And for when you just want to capture the Chloe feeling, light a few Chloe Perfumed Candles. The powdery floral fragrance fills the room. The chic bath product collection, including the Chloe Bath Creme, Chloe Creamy Scrub and Chloe Body Creme, each come housed in thick glass jars with silver plating. 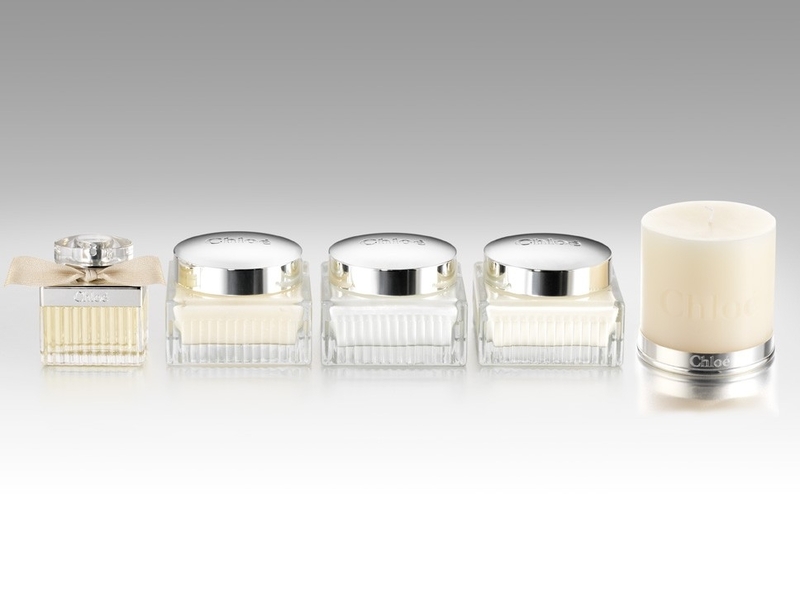 The pleated glass gives the products a sophisticated, vintage look that echoes the feeling of the Chloe eau de parfum. All available exclusively at Saks Fifth Avenue, www.saksfithavenue.com and Chloe boutiques. I have been on the search for a new perfume for what seems to be month’s now, thanks so much for bringing Chloe to my attention. I actually have this and I love it! You won’t be disappointed! I smelled this recently cause I saw on this post–I really want it now and it’s so pretty too!